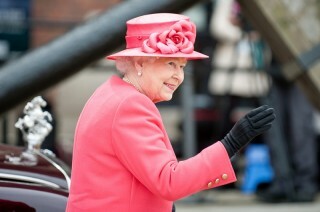 Queen May Face Industrial Action From Windsor Castle Staff– When Can You Take Industrial Action Against Your Employer? Over 100 low paid staff at Windsor Castle are currently being balloted as to whether they should take industrial action in a dispute about leading guided tours. A vote in favour of taking action would mean that members of the royal household would be taking industrial action just days before the general election in May. This would be the first ever industrial action by members of the royal household. The Public and Commercial Services union (PCS) state that staff are being paid less than minimum wage and have endured years of pay restraint – new recruits to the caste earn only £14,400 per year. PCS represents 120 of the 200 staff at the castle and has proposed non-strike action that would involve the withdrawal of goodwill. This would mean staff would refuse to give tours of the castle to paying visitors. The dispute has arisen over payment of allowances for additional duties. Castle staff have taken on additional duties such as leading guided tours, administering first-aid and acting as translators. The staff accepted an "unsatisfactory pay offer" last year on the understanding that they would be given allowances for carrying out these duties, however these allowances were refused resulting in the opening of the ballot. "These workers are loyal to their employer and absolutely committed to ensuring visitors are given the royal treatment. It is scandalous that staff are so appallingly paid and expected to do work for free that brings in money for the royal family." Today at Unlock the Law we take a look at industrial action, when staff may take industrial action and when it will be unlawful. Employers often prevent workers coming to work during a strike known as a 'lock out'. Industrial action occurs when trade union members become embroiled in a dispute with their employers, and the dispute cannot be solved through negotiations. Industrial action can only be carried out if a majority of its members support it, and a properly organised ballot is carried out. In order that the ballot is properly carried out, the trade union must decide which members affected by a dispute it wants to ask to take industrial action. It must tell all members entitled to vote and the employer involved, the results of the ballot. If successful, the trade union will then call industrial action by telling union members and the employer when and how this action will be taken. This should be done by a trade union official or committee, as only they have the legal right to call for industrial action. What rights do I have when taking part in industrial action? If you are a trade union member you have the right to vote before your union takes action. You cannot be forced to take part in industrial action. You cannot be disciplined by your union for failing to take part in industrial action. You have the right to take industrial action and you cannot be forced to stay at work or go back to work under the law where there was a properly organised ballot. If you take industrial action, you'll probably have breached your employment contract. This means your employer may not pay you for the work you didn't do when taking part in industrial action, or take you to court for breach of contract however this very rarely happens. Usually, taking industrial action will not break your period of continuous employment. However, your employer may reduce your length of service with them by the number of days you were on strike – this may be important in relation to your pension or redundancy pay. You cannot be dismissed for industrial action where: It is called as a result of a correctly organised ballot; It concerns a trade dispute between workers and their employer; a detailed notice about the industrial action was given to the employer at least 7 days before the action begins. You can make an unfair dismissal claim at an employment tribunal if you're dismissed for taking industrial action up to 12 weeks after the action began. Find out more with our Employment Law Guides.